Firm: Young Wells Williams P.A. Corporate finance including early-stage venture financing structures and debt and equity offerings. 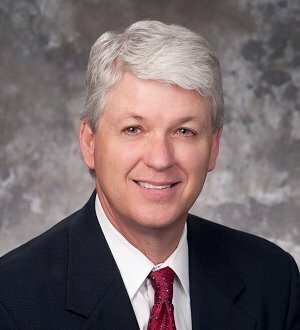 Prior to rejoining the firm in May 2001, Jim served as Senior Vice President – General Counsel and Secretary of Tritel, Inc./SunCom, a wireless communications company affiliated with AT&T Wireless Services. In that position, he was responsible for all legal affairs of the company, which grew from a private start-up with a dozen employees to a publicly traded corporation with over 1,200 employees doing business over a six-state region. In addition to his legal responsibilities, Jim managed the governmental relations, real estate and regulatory functions of the company. As corporate Secretary and General Counsel, he coordinated the activities of the company’s board of directors and acted as primary legal advisor to the board on issues as widely varying as litigation to the company’s IPO and subsequent merger with TeleCorp PCS, Inc. Jim worked with investment banks and led legal teams assisting the company through corporate finance transactions raising capital in excess of $1.3 billion, including private equity offerings, the strategic equity investment of AT&T Wireless, senior secured credit facilities, offerings of senior subordinated discount notes and an initial public offering. He also successfully negotiated the company’s $300 million equipment acquisition agreement with Ericsson and related vendor financing. He is a shareholder in the firm, serves as its President and is Chair of its Business Opportunities Group.